This quality wedding ring is 2mm wide in a Flat-Flat profile for a clean contemporary look, crafted from solid 18k white gold. Delivered free with luxury packaging, authenticity certificate and a full 12 month guarantee. 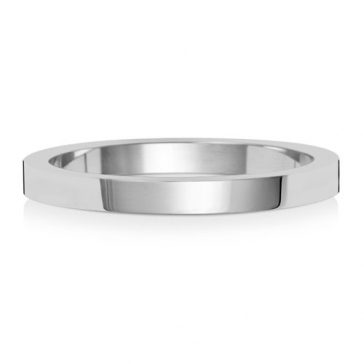 This ring is also available in light and heavy weights, please contact us for details and pricing.